Want to make pasta, but lack the motivation to do all that mixing and kneading by hand? No problem. 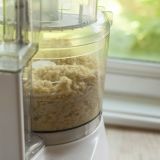 If you have a food processor, you can have a batch of pasta dough ready in about two minutes flat. 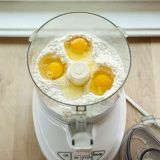 The fast-working action of the food processor blade mixes those eggs into the flour faster than your fingers ever could — and gives the dough a good kneading at the same time. The resulting dough is soft and supple. After a short rest, it's ready to be rolled and cut into fettuccine, ravioli wrappers, or whatever your pasta-loving heart desires. After making pasta the old-school way for many years, I've come to really love making a quick batch in the food processor. Maybe it's only a mental thing — making the dough by hand doesn't really take that much time. To me, making it in the food processer just makes homemade pasta feel more accessible and manageable: an everyday affair instead of something reserved for only special occasions. Hey, make it by hand or make it in the food processor — either way, you still get fresh pasta for dinner. And that is never a bad thing! Combine the flour and salt in the bowl of a food processor fitted with a blade attachment. Pulse a few times to combine. Combine the flour and salt. 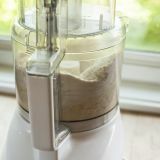 Combine the flour and salt in the bowl of a food processor fitted with a blade attachment. Pulse a few times to combine. Add the eggs. Crack the eggs on top of the flour. 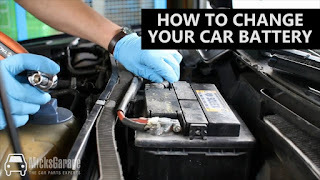 Process for 30-60 seconds. 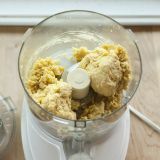 Put the lid on the food processor and process for 30-60 seconds until the dough comes together into a rough ball. If dry, add water. 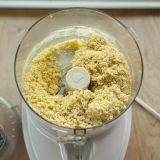 If the dough doesn't come together after a minute and looks like small pebbles or cous cous, add a teaspoon of water and process again. Repeat until the dough comes together. If sticky, add flour. 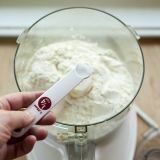 If the dough is sticky and smears against the sides of the bowl, add a tablespoon of flour and process again. Repeat until the dough comes together. 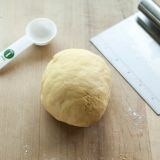 Knead the dough into a smooth ball. 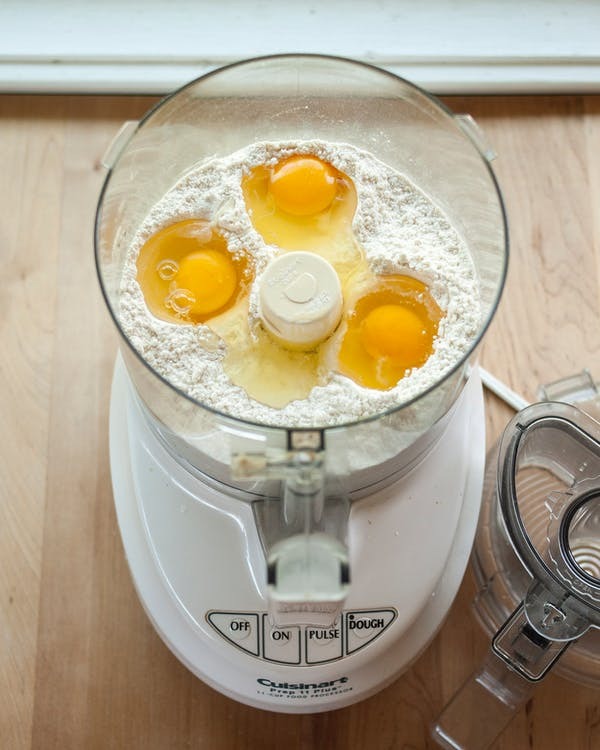 Remove the dough from the food processor. 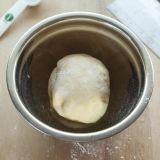 Knead against the counter a few times until it comes together into a smooth ball. Rest the dough for 30 minutes. Dust the dough with a little flour and place it in a small mixing bowl. Cover with plastic wrap and rest at room temperature for at least 30 minutes.